We are in the final week of February, which means this week is the eighth week of schooling for Babycakes (inclusive of the one week Chinese New Year break) so I am kinda out of ideas as to what to pack for her and Babypie's lunchboxes. 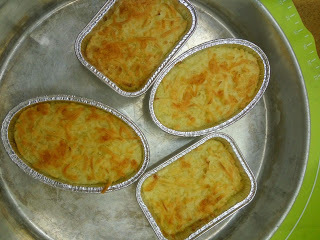 Yesterday, I decided to make mini beef shepherd pies. 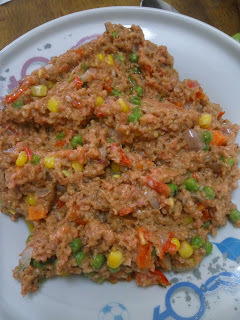 I am gonna share with you how to make these, in case you are interested. 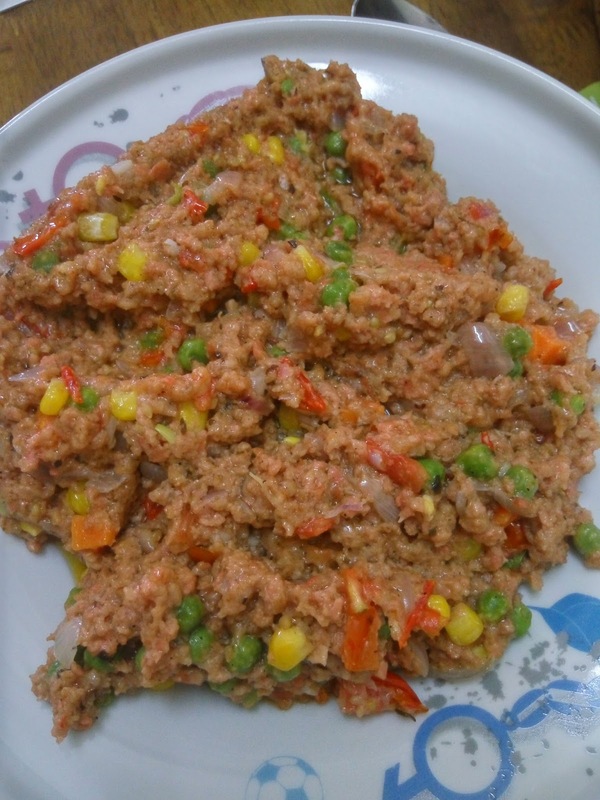 However, there are no exact measurements as I simply estimated the ingredients. I mean, we are not baking a cake here where exact measurements are required so use your discretion wisely, OK? 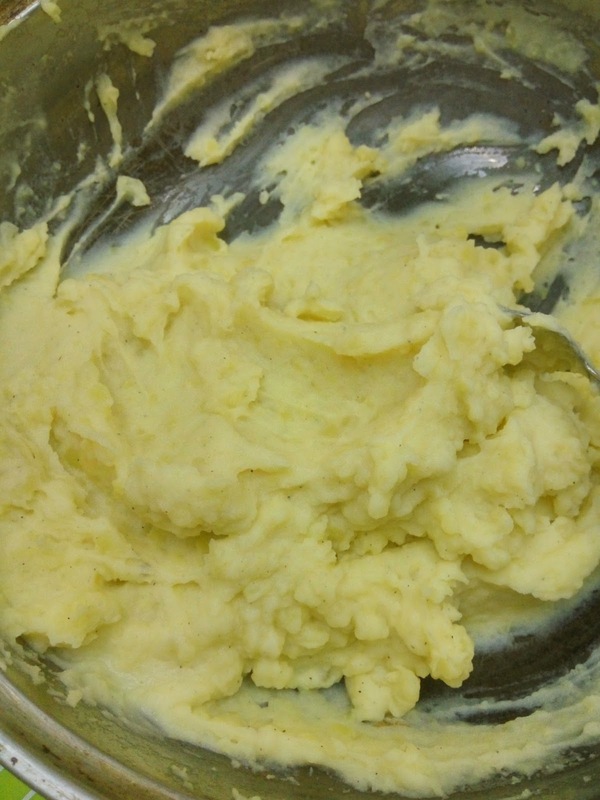 Boil some potatoes until soft and tender. I didn't peel the potatoes before boiling so make sure they are washed thoroughly. I then ran through my knife on the potatoes, as if I am going to cut them in halves. Add some salt to the water and once the potatoes are soft, run them under cool water and the skin will peel off easily. But of course, you can peel the skins beforehand if you want to and you can also cut the potatoes in cubes to cut down the boiling time. 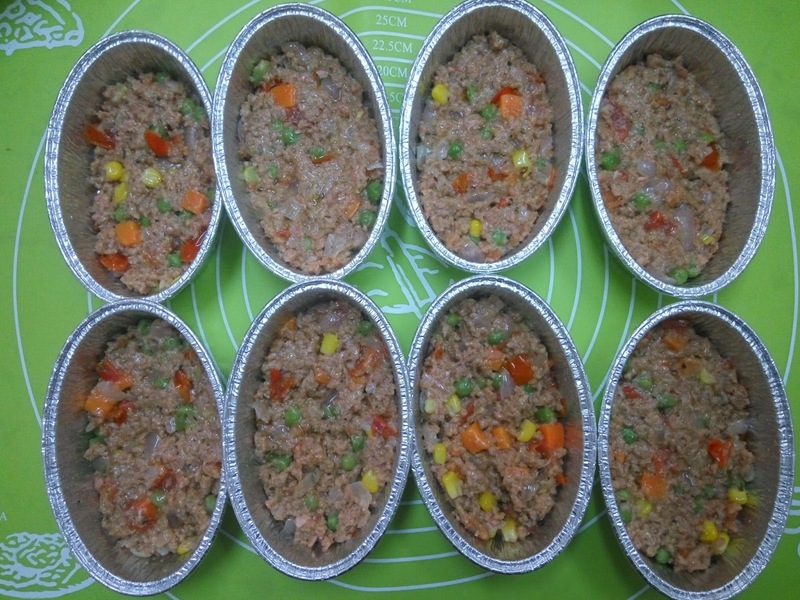 Alternatively, you can always leave the skin on because the skins have so much good stuffs but since I am making these for my kids, I know the sight of brown bits in their foods will probably put them off so I had to peel the skin. Mash the potatoes when they're done, add a splash of full cream milk and season to taste. This pizza topping is so much cheaper than other brands. 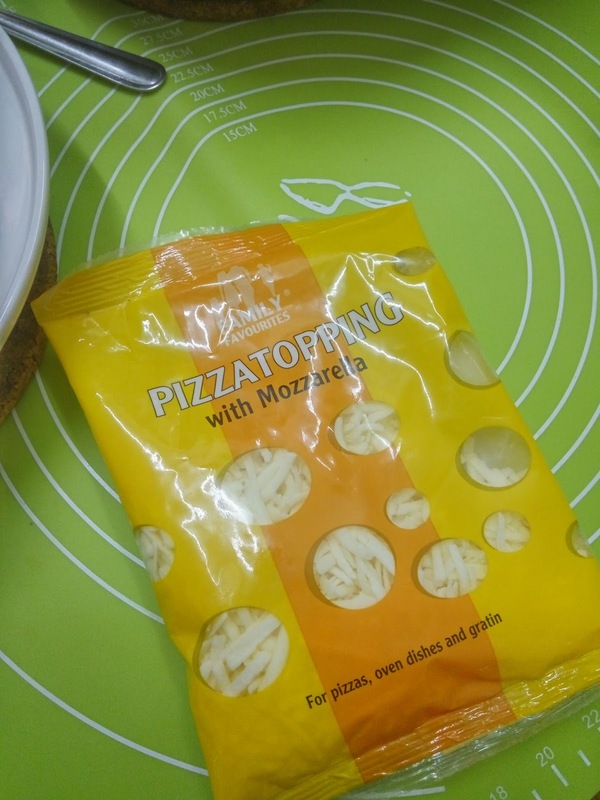 However, I don't recommend buying this if you want am ooey gooey and stringy top because I think it has so little mozarella. 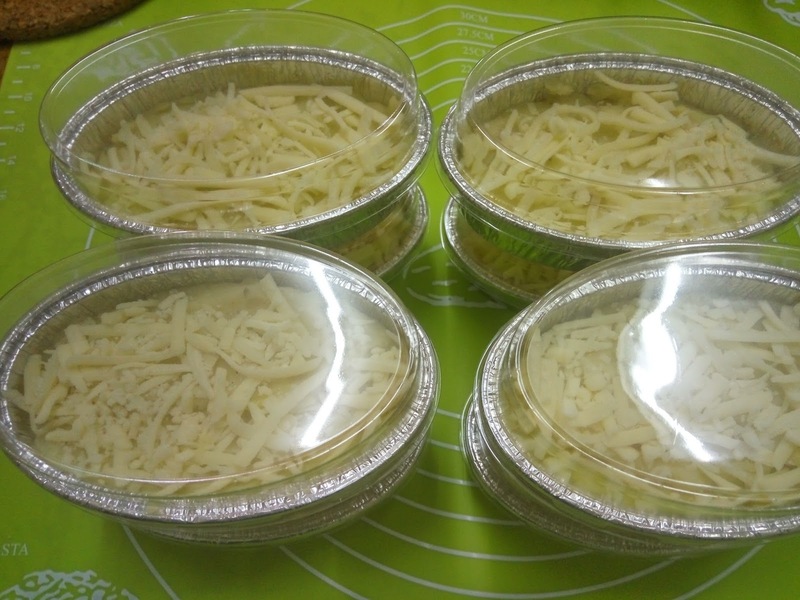 Sigh, why are cheeses so expensive in KL? 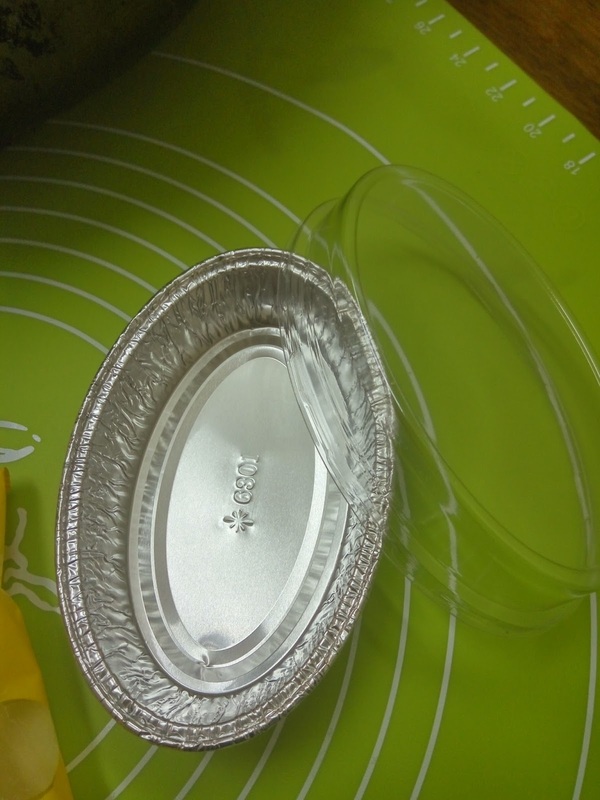 I bought these aluminium foil cups with lids at Bagus Bake Shop. They come in several sizes. I like the fact that they come with lids. It makes freezing them so much easier. Once you have everything ready, it is time to assemble the pies. 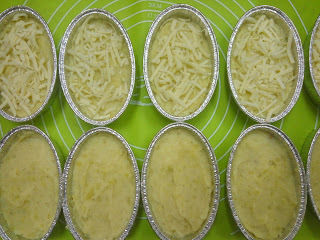 First, put a layer of filling into the cups. The cups are quite big so the portion is just nice for my kids. 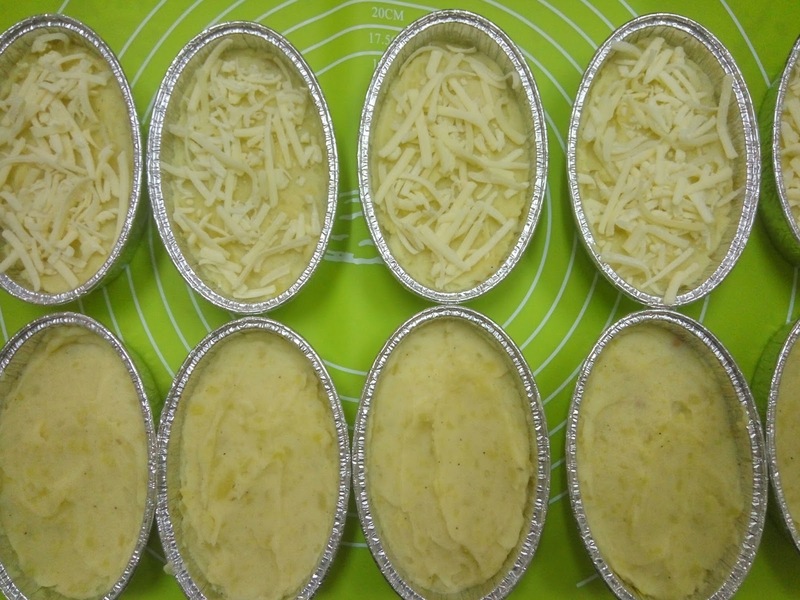 Next, spread a layer of mashed potato on top and finally sprinkle with the cheese.Feel free to add as much or as little cheese as you like. The reason why I bought the cups with lids is so that I can freeze these easily. I froze 8 cups in total so these can be packed for the kids' lunchboxes for days when I'm pressed for time. 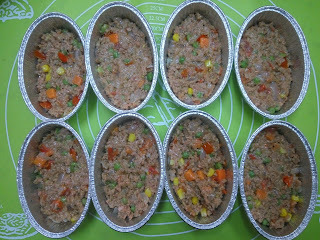 I baked two cups for me and hubby and the two rectangle cups are for the kids' lunch yesterday. 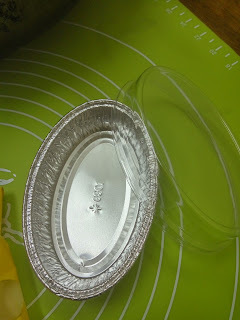 The rectangle cups were bought from Daiso and they do not come with lids. Like I said earlier, the cheese didn't melt as expected. Instead they turn out crispy-ish. I will buy a different brand next time. 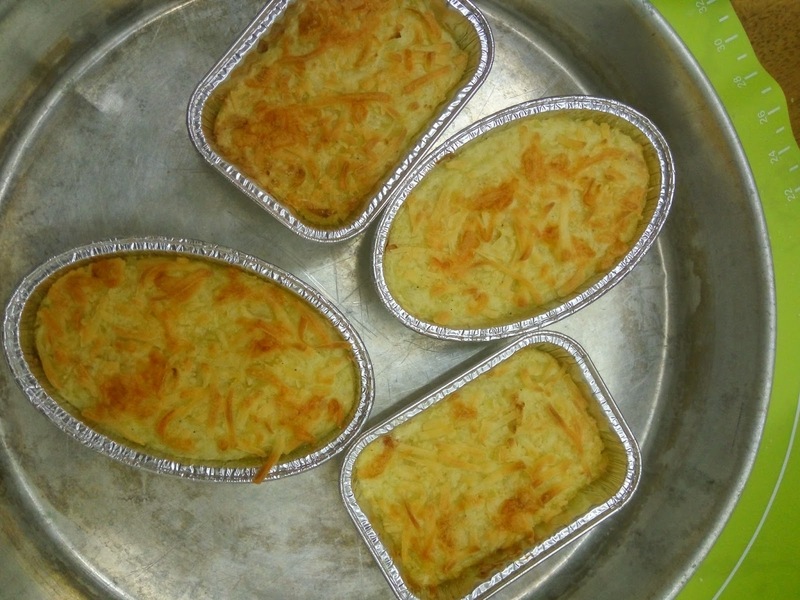 So there you go, my mini beef shepherd's pies.You can use chickens and sausages for the fillings and add a can of mushroom soup. You can also use puff pastry for the top and it will become mini pies.